This album is a must-have for blues enthusiasts, especially in the context of the film. Even the shortest song, “Nobody Loves Me But My Mother,” is an intimate glimpse into B.B.’s career. The album flows seamlessly and creates a rich history of the founding father of the blues. Perhaps the only drawbacks to this extensive 2-disc collection chronicling B.B. King’s life and greatness, are that it is not chronological in its track arrangement and the release dates of the songs are not listed, as it’s interesting to note the development of B.B.’s band in his later years and the diversity of his songwriting. A 1974 recording of “Sweet Sixteen” is a slick product with 70’s soul influences and “Tired Of Your Jive” has more of a big band feel with its classic walking bass line and horns, while “The Thrill Is Gone” delves into R&B territory (and won him a Grammy Award). The film is worth seeing as well; beyond its look at B.B. 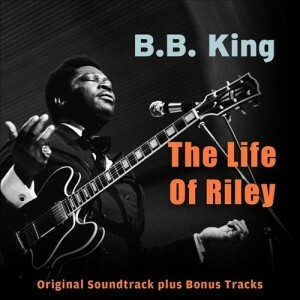 King’s colorful life, it also features many famous musicians and their stories about B.B. King, including Keith Richards and Eric Clapton. If you’re looking for a greatest hits album, this is not necessarily the one, but if you’re looking for a collection which shows the widest variety of B.B. King’s work, you will definitely appreciate this one. Adrian Halo is a queer trans artist who moved from Brooklyn to the Bay Area in 2015, where he plays bass and keyboards in various projects including his own electronic/industrial music solo act, Machines With Human Skin. He also enjoys skateboarding and hanging out with his two cats, Rico Suave and Frankie Sinatra.